“This is as close as I’ve come to divorcing you for writing this blog,” said my wife as we drove to the airport. I was playing, as I always do in the car or anywhere else this year, Bob Dylan. In this case, his second 2009 album, Christmas In the Heart. Who could hate a Christmas album? I mean, after, all Dylan was even kind enough to release it late enough in his career that we were listening to it in December. Perfect. But as he croaked his way through very straight-forward versions of Christmas classics, it all began to sound like a joke to Rebecca. “This is like an SCTV sketch: “New from K-Mart! 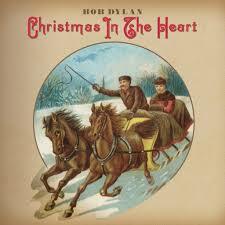 Bob Dylan’s Christmas!”” By the time he’d got to “Little Drummer Boy”, she had had enough (she actually made me skip it). Later, on the plane, I put the album on repeat and listened contentedly on my headphones. Look, this one is exactly what it says it is: Bob Dylan does fifteen classic Christmas songs. I know it sounds bizarre. I know it sounds like a joke. But Elvis got to do Christmas songs. Willie Nelson got to do Christmas songs. And, dammit, Bob Dylan is going to croon some Christmas songs for you. Does it work? Well, gee, I dunno. I guess the question would be work as what? Did it fulfill my life long dream of hearing Bob Dylan sing in Latin? Sure it did! Would I play this on Christmas to fill my house with joy? No, I would not (see, divorce, above). Are there any interesting versions here? Not really. 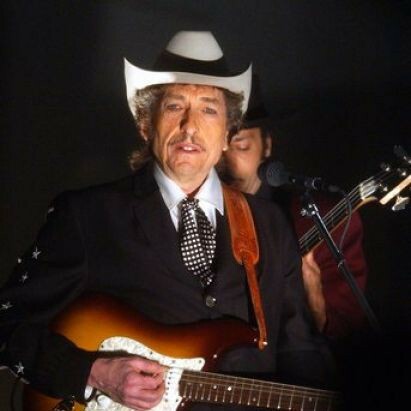 Dylan does it all very straight (he noted in an interview that this was the only way to go – that these songs are like folk songs, and they have to be sung in a certain way). There’re beautifully-voiced back-up singers, and bells, and piano, and what passing for crooning in Dylan’s world. The only song where does anything even slightly out of the ordinary is “Must Be Santa” where he includes a long list of twentieth-century presidents as reindeer. It’s “clever”. Actually, it would be clever if you were sitting at your kid’s grade school Christmas concert and they did it. When Dylan does it, it doesn’t amount to very much. I’m not going to run through the songs as I normally do because I can’t find anything more to say about this one at all. It is exactly what it claims to be. For better or worse. PS. The album includes a version of “The Little Drummer Boy”, so beware if you’re taking the challenge. I’m out. So very out, by the way. You started the year by saying you son gave you the idea. How has he been coping with all the Dylan? Will there be work a precocious bildungsroman about his experience? Or perhaps your wife will write a book My Year with Bob Dylan? I’m only half joking. If the marriage has made it through the first week in December, you’re doing pretty well. Hang tough, kids–there’ll be plenty of make-up punk after the first of the year. “The Little Drummer Boy” is a trial under any circumstances. Bob Dylan may have invented “the singer who can’t actually sing,” but “The Little Drummer Boy” is markedly ill-suited to that particular aesthetic.